Within a week of my elder son starting school, 127 so-called education experts had clubbed together to warn me that I was ruining his life. Because where we are going wrong in the UK, apparently, is sending children to school at the age of four. We should be waiting until they are six or seven before starting their formal education, as they do in Scandinavian countries that “consistently achieve better educational results as well as higher levels of wellbeing”. To take this debate forward, I thought it might be helpful to obtain the views of a consumer. Charlie, aged 4¼, reports that he loves school so much that he would like to sleep there and not bother coming home. 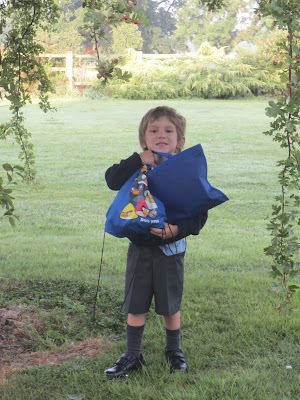 (An opinion which raised my hopes of packing him off to boarding school in a year or two, if only I could overcome his mother’s veto and land a major lottery win to pay the fees). When I was away last weekend, he said “I miss …” and Mrs Hann was surprised when the person in question proved not to be the traditional “Daddy” but “Mrs Tudor”, his form teacher. Charlie is happy to get changed as soon as he comes home so as “not to spoil my beautiful school uniform”. He also cheerfully completes his reading homework each evening and appears to be making excellent progress on all fronts. However, he has always been eager to learn. Indeed, the only problem we had in getting him to school in the first place was his confident but misplaced assertion that there was no need for him to go as “I already know everything”. I also started school aged 4¼ and am sure it did me no harm, because I was similarly ready to learn. Indeed, my parents paid for me to go to a private school precisely because the local state primary would not admit me for another year, and they could not face me hanging around the house badgering them with questions. What did do me harm was later being fast-tracked into taking my A-levels a year earlier than usual so that I could reach university well before I was socially equipped to make the most of it (though, to be fair, on that basis I should probably have deferred my degree course until I was nearer 30). But then we all develop at different paces. When Charlie was 19 months old he was already addressing us in well-formed sentences. His younger brother Jamie, on the other hand, who is at that age now, says little more than “Mamma”, “Dadda” and “Uh-oh”, which is both his comment when anything goes wrong and his slightly disturbing name for his elder brother. He also recently started saying “Amen”, which I took to be an early sign of religious awakening, but turns out to be his interpretation of the name of his best friend at nursery, a little girl called Carmen. 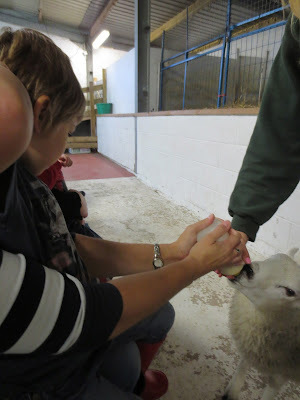 The day before Charlie started school my wife gave him his choice of special treat and he asked to be taken to one of those farms where kiddies are invited to stroke bunnies, feed lambs, milk cows and the like. On Saturday he asked us to pay it a repeat visit on the kind pretext of sharing this experience with his younger brother. In reality, what we mainly witnessed were clear signs of growing confidence and independence as Charlie happily went off alone on the sort of tractor ride that he would previously have insisted on taking only with his mother. All of which is, I can see, very bittersweet for Mummy, who sees her baby growing up at a pace rarely witnessed since Jack scattered those magic bean seeds in the pantomime. Childhood and innocence are surprisingly short, and we are doing our best to savour what is left of it. Buoyed up by the knowledge that, at his current rate of progress, young Jamie will indeed be an ideal candidate for the 127 educationalists’ preferred “free play” until he is six or seven. Which may work out particularly well if I can secure a free transfer of my PR skills to a company somewhere in Scandinavia, where my reputation is as yet untarnished by experience. Are you all right there, mate?